The experience of having something leak from a body part that shouldn’t leak can be alarming. This guide will tell you everything you need to know about discharge from the ear. Otorrhea is a medical term that refers to any kind of discharge from the ear. Oto means ear and rrhea means flow. It is not a condition in and of itself but is rather a symptom of something else. The symptoms of otorrhea all involve the flow or leakage of fluid from the ear. Along with otorrhea, there are often other symptoms related to the root cause. There are a number of causes of this condition. Some are pretty common and not a cause for much concern and others are rare and quite serious. An ear infection of the inner ear, middle ear, or outer ear can cause otorrhea. This bacterial or viral infection can be painful and involves inflammation and a buildup of fluid in the ear. Not all ear infections involve otorrhea, but pus-like fluid draining from the ear can be a common symptom. Ear infection is the most common cause of otorrhea. It is especially common in children. When something gets stuck in the ear, it can lead to pain and sometimes some fluid discharge from the ear. When an ear infection isn’t treated, it can sometimes lead to mastoiditis. This is an infection of the mastoid bone. According to the National Health Service, mastoiditis is more common in children. (2) Mastoiditis is a potentially life-threatening condition. This condition is painful and will often lead to otorrhea. Along with otorrhea, other mastoiditis symptoms include fever, redness, and swelling. 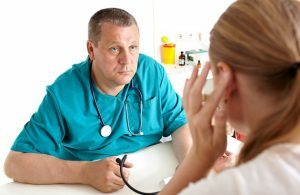 In people with weakened immune systems, swimmer’s ear left untreated can sometimes lead to a more serious infection known as malignant otitis externa. Other things that weaken the immune system like HIV or chemotherapy can also lead to the condition. This condition is painful and otorrhea is one of its trademark symptoms. Yellow or green fluid will drain from the ear pretty steadily, and it tends to have a strong, foul odor. An injury to the head like a concussion or a skull fracture can sometimes cause otorrhea. Head injuries can be extremely serious and life-threatening. A hole or tear in the eardrum can cause otorrhea. An eardrum rupture can be caused by injury or the insertion of a foreign body into the ear canal, an ear infection, pressure changes, or from exposure to extremely loud noises. Pain is usually the first symptom of an eardrum rupture, and otorrhea is typically the next symptom. The fluid that drains from the ear might be clear, bloody, or pus-like. A cholesteatoma is a non-cancerous cyst or growth in the middle ear. Cholesteatomas can be caused by frequent ear infections, colds, or allergies. Otorrhea is a common symptom of these growths, and the fluid that drains from the ear will smell bad. Otorrhea can sometimes occur after a child has tympanostomy tubes. More than half a million children undergo ear tube surgeries each year, according to the American Academy of Otolaryngology–Head and Neck Surgery. (6) The actual cause of the otorrhea is usually an ear infection, but this is common after the insertion of tubes. The course of treatment for otorrhea depends on the root cause. You can’t treat otorrhea itself, only the condition that is causing it. For some causes of otorrhea, it will go away on its own without the need for treatment. For many causes of otorrhea, treatment is necessary. The standard course of treatment for a bacterial ear infection is antibiotics. If an ear infection is the result of a virus, antibiotics won’t help. If fluid remains built up in the ear over a long period of time, a doctor may perform a myringotomy. This lets fluids like water, blood, or pus drain out from the ear. In children, a doctor may choose to insert tubes to help keep the middle ear dry and prevent future infections. Although putting in tubes is usually done to prevent ear infections, sometimes the tubes can lead to otorrhea. The only treatment that is typically needed from otorrhea from a foreign body in the ear is the removal of the foreign body. It’s usually a good idea to have a doctor remove the foreign body from the ear in order to minimize further injury. Treatment for mastoiditis is usually a course of antibiotics and eardrops. The doctor will also need to clean the ear several times. In severe cases, where this course of treatment isn’t enough, surgery is necessary. The surgery is known as myringotomy and involves making a small hole in the eardrum to allow fluid to drain out. In the most severe cases, the doctor will surgically remove the infected mastoid bone. 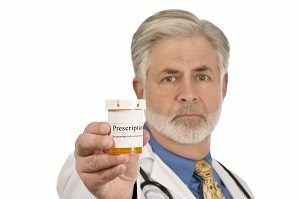 Treating malignant otitis externa usually involves a course of antibiotics. 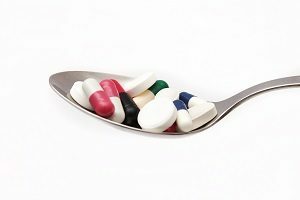 It tends to need a fairly long course of antibiotics to be effective and they may need to be taken intravenously. When the condition is quite severe and there has been significant damage to the tissues, surgery may be necessary. Surgery will only be done to remove the damaged tissue after the infection has been totally cleared. Close monitoring is usually necessary in the case of a head injury. It’s also important to avoid strenuous activity in the weeks following a head injury. In some cases, surgery may be necessary. Various kinds of therapies and medication may be necessary as well. In the case of a cerebrospinal fluid leak from the ear, treatment may be as simple as a period or rest. It may also involve a lumbar drain or even surgery. In most cases, a ruptured eardrum will heal on its own over time. While the eardrum is healing, it’s very important to not let it get wet. Avoiding swimming and using special care when bathing is key. To help relieve pain, the use of heat and the administration of pain relieving medicines may be used. When the eardrum is not healing on its own within a reasonable time frame, a doctor can place a patch over the hole or tear in the eardrum. In the worst cases, surgery will be necessary. Surgery is typically only necessary for really large tears or for perforations on the edges of the eardrum. In this surgery, a doctor will repair the eardrum using a piece of the patient’s own tissue. A cholesteatoma will typically need to be removed surgically. The surgery will remove the disease from the bone and repair the eardrum if necessary. Surgery will end symptoms like otorrhea and will prevent more serious complications from occurring. Otorrhea is a symptom that should almost always trigger a visit to a doctor. It can be a symptom of a mild problem, but it could also be the sign of something quite serious. It’s especially important to see a doctor when fluid draining from the ear is clear, bloody, or has a foul odor. It is also important to make note of any other symptoms that are happening along with the otorrhea. If you are experiencing pain, trouble hearing, dizziness, or any other symptom, it’s a good idea to see a doctor. Make sure the doctor is aware of all the current symptoms. 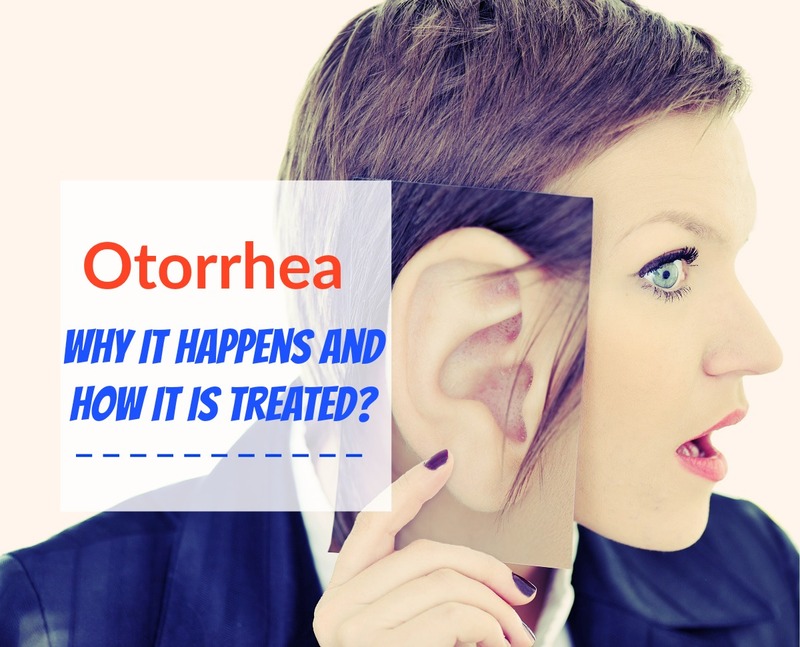 If you have drainage from your ear, you are experiencing otorrhea. Otorrhea can be annoying and embarrassing, so you will want to find out the root cause and start treatment as soon as possible. This condition can be caused by many different things, so it’s typically important to visit a doctor. This is especially true because otorrhea can sometimes be a sign of a very serious and even life-threatening condition. » Make note of any other symptoms you are experiencing. » Make note of the color, odor, and thickness of the fluid draining from your ear. » Visit your doctor as soon as possible to find the cause of the otorrhea. » Follow the doctor’s instructions.